Perception is everything. This story is a story within a story within a story. Sometimes the truth isn't as easy to see as we imagine it to be. Lotto and Mathilde meet and fall madly in love in the course of just a few weeks. Their friends and family are either envious of their tumultuous love or dead-set against it. We grow into their life, living out their sorrows and their joys, experiencing all of their successes and defeats. It’s rare for me to feel so invested in a story and its characters’ lives when I’m reading third person, but FATES AND FURIES was too good to not fall right into it. You can’t help but love Lotto, this man who is inherently good. He grows up particularly spoiled and has a hard time dealing with failure – he’s never not a winner. He loves Mathilde with fierceness yet is undeniably afraid of losing her. Mathilde is a mystery, through and through. She is enigmatic, lovely, and always outwardly kind. I felt that Mathilde was always hidden in the shadows, the strong yet silent type, and the rock that Lotto would rest upon as he fought his way to the top. But you never really know a person do you? FATES AND FURIES is refreshing, incredibly smart, and gives you surprises that are like little gems, leaving you gasping in awe. Lauren Groff, your brain is a mystery and I loved having a glimpse of it while reading your words. You are brilliant. 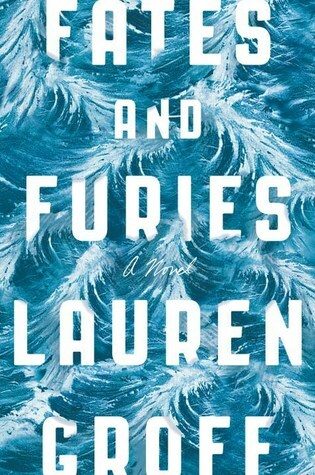 Lauren Groff is the author of the novel The Monsters of Templeton, shortlisted for the Orange Prize for New Writers, Delicate Edible Birds, a collection of stories, and Arcadia, a New York Times Notable Book, winner of the Medici Book Club Prize, and finalist for the L.A. Times Book Award. Her third novel, Fates and Furies, is forthcoming from Riverhead Books in September 2015. Her work has appeared in journals including the New Yorker, the Atlantic Monthly, Harper’s, Tin House,One Story, McSweeney’s, and Ploughshares, and in the anthologies 100 Years of the Best American Short Stories, The Pushcart Prize: Best of the Small Presses, PEN/O. Henry Prize Stories, and three editions of theBest American Short Stories. She lives in Gainesville, Florida with her husband and two sons.